Pearl Bauman, age 94, of Gary, SD passed away on Sunday, January 27, 2019 at the Hendricks Nursing Home in Hendricks, MN. Mass of Christian Burial will be at 11:00am on Saturday, February 2nd at St. Mary’s Catholic Church in Clear Lake, SD. Visitation will be 5 to7pm on Friday, February 1st at the Houseman Funeral Home-Birk Chapel of Hendricks, MN with a 7pm prayer service. Visitation will resume one hour prior to the service at the church. Burial will be at the Bethany Cemetery in Astoria, SD. 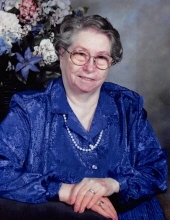 Pearl Josephine Bauman was born on December 29, 1924 in Ward, SD to parents, Paul Sr. and Josephine (Lamp) Carpenter. She was raised on the family farm near Lake Benton, MN and she graduated from Lake Benton High School. Pearl went to teachers training and then taught country school near Arco and Lake Benton. On April 19, 1949 Pearl was united in Holy matrimony to Kenneth Bauman at the St. Genevieve Catholic Church in Lake Benton, MN. They were blessed with eight children. In 1951, they relocated to a farm south of Gary, SD near Lake Cochrane. She worked side by side with her husband raising children, chickens and cattle. In 1979, Pearl and Kenneth moved off the farm into Astoria. Kenneth died in 1996 after 47 years of marriage. In 2005, Pearl moved to the Lincoln Lane Villa in Hendricks. Pearl enjoyed gardening, baking, bird watching and writing poetry. She also enjoyed doing crafts, needlework, jigsaw puzzles, crossword puzzles and reading. She was known for sending cards for every occasion to all her family and friends. Family gatherings were especially important to Pearl as she loved her time spent with her grandchildren. She was a faithful member of St. Mary’s Catholic Church where she served on the Altar Society. She was also a member of the Ladies American Legion Auxiliary in Astoria and a member of the Prairie Neighbors Extension Club. Grateful for having shared Pearl’s life are her eight children: Ron (Sandy) Bauman, Hendricks, Darlene Theisen, Altamont, Myrna (Richard) Shum, Wamego, KS, Darald (Peggy) Bauman, Gary, Marlin Bauman, Gary, Charles (Melanie) Bauman, Lebanon, MO, Joanne (Darryl) Mauseth, Clear Lake, Teresa (Steve) Bourassa, Sioux Falls; 29 grandchildren, 63 great-grandchildren and one great-great-grandchild; siblings: William (Darlene) Carpenter, Lois Zimmer and Ardith Larson all of Lake Benton, Conrad (Connie) Carpenter, College Station, TX and Danny (Judy) Carpenter, LeMars, IA; sisters-in-law: Joyce Carpenter, Gladys Riesgard and Joyce Broderson; and numerous nieces, nephews, cousins and friends. She is preceded in death by her parents; her husband; her brothers: Verlon (in infancy), Alvin and Paul Jr.; and one son-in-law, Kenneth Theisen. To plant a tree in memory of Pearl J Bauman, please visit our Tribute Store. Visitation will be 5 to7pm on Friday, February 1st at the Houseman Funeral Home-Birk Chapel of Hendricks, MN with a 7pm prayer service. Visitation will resume one hour prior to the service at the church. "Email Address" would like to share the life celebration of Pearl J Bauman. Click on the "link" to go to share a favorite memory or leave a condolence message for the family.